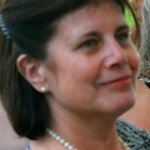 In this blog, Lynda Ware, our Senior Fellow in General Practice, looks at the latest Cochrane evidence on different treatments for wrist fractures in children. A recent conversation in the office revealed the diversity of childhood wrist fractures and the different ways there are of treating them. I won the award for having the most accident-prone child, who, on two separate occasions, sustained a wrist fracture whilst rollerblading : a greenstick fracture the first time and a complete break the second. Each time she was given a rigid cast (yellow and red) for six weeks. A colleague’s child fractured both radius and ulna (see images below) and, after manipulation under anaesthetic, was placed in a full-arm fibreglass cast, flexed at the elbow. Yet another child with a buckle fracture was given a soft splint, which was removed at home after just three weeks. Different treatments for the different kinds of wrist fracture – what’s the best in each case? Ouch! A nasty wrist fracture with both radius and ulna broken. Wrist fractures involving the radius (one of the bones in the forearm) are the commonest fractures in children and usually happen after falling onto an outstretched arm. They account for an estimated 500,000 UK emergency department attendances per year, with around 3% needing hospital admission (Shah et al., 2015). Most of these fractures are ‘buckle’ or ‘torus’ fractures where there is no clean break in the bone but a compression or ‘buckling’ of the cortex (the outer layer of the bone) (Randsborg and Siversten, 2012; Thimmaiah and Bass, 2012). These fractures tend to be stable but cause deformity and pain. 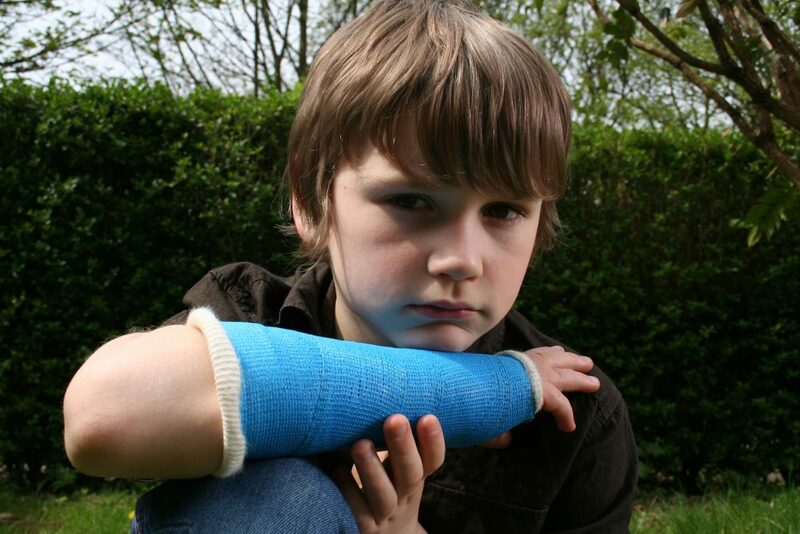 Another type of radial fracture in children is the ‘greenstick’ fracture where the bone breaks only on one side and bends towards the opposite side. Buckle and greenstick fractures are commoner in younger children. Other injuries may lead to a complete break. These fractures can cause significant deformity and are unstable. Fractures may involve the growth plate of the bone, something that is commoner in older children. A serious clinical situation arises if the fracture is ‘open’, meaning that the bone is exposed through the overlying skin and tissues. Less frequently there may be a fracture of the distal end of both forearm bones (radius and ulna) but fractures of the ulna alone are rare. Most wrist fractures in children do not need surgical intervention. Depending on the type of fracture, treatment ranges from full immobilisation using a rigid cast to simple splinting with a soft or elasticated bandage. Rigid casts are usually made from plaster of Paris or fibreglass and are customised to fit the individual child. They may completely encircle the arm up to or sometimes above the elbow or they may be incomplete (a backslab) to allow swelling to subside. They need specialist application and removal after 4-6 weeks. Stable fractures are usually treated by splinting and typically the splint is removed after 3 weeks, often at home by parents. Fractures may need to be manipulated under anaesthetic to bring the bone fragments into alignment. Sometimes wiring is needed to ensure that the fragments stay in place. There is no consensus on how best to treat wrist fractures in children and therefore considerable variation in practice. NICE (National Institute for Health and Care Excellence) issued guidelines in 2016 on the management of buckle fractures in children (NICE, 2016). The quality of the evidence available to advise their recommendations was low (meaning that further research is very likely to change the conclusions) or very low (meaning very unreliable). NICE concluded that ‘soft casts and bandaging were probably the optimal approaches out of the four considered (bandage, soft cast, removable splint and rigid cast)’. In UK soft removable splints are most commonly used. It’s important to have reliable evidence to support best practice on how to immobilise the fracture and for how long. The impacts of these decisions are far-reaching, affecting not only the child and family but also the health resources needed to implement them. The Cochrane Review: Interventions for treating wrist fractures in children, published in December 2018, is an update of the original review from 2008 (Handoll et al., 2018). It sought data from trials comparing interventions for treating distal (the third nearest the thumb) radius fractures in children to find out which is the most effective and safe. The authors looked for data on how well normal wrist function was established after treatment, how long it took to full recovery, which treatment was best at minimising pain, how many problems resulted from the treatment such as failure to heal or refracturing, and how satisfied child and parent were with treatment. The authors included data from 30 studies. The mean ages of the children recruited in the trials were between 8 and 10 years and there were more boys than girls. Not surprisingly there was a high risk of bias throughout since it was impossible for the participant and the medical adviser not to know which intervention was being used! The studies looked at a variety of different kinds of wrist fracture and compared different ways of treating them. What were the results and what conclusions can be drawn? Unfortunately the quality of the evidence for all the comparisons was low or very low, meaning that we are still lacking definitive high-quality evidence to address uncertainties in the management of these fractures. Six trials compared the use of a removable splint to a below-elbow cast for buckle fractures. One small study (66 children) showed that there may be no difference at four weeks in achieving a return to full function of the wrist. Another study with 87 children reported no serious adverse events, as did other trials comparing bandage versus cast and home versus hospital removal of casts. Other comparisons included soft or elasticated bandage versus below-elbow cast for buckle fractures; removal of casts at home compared to removal in the hospital fracture clinic; below-elbow versus above-elbow casts for displaced or unstable double wrist fractures (ie both radius and ulna broken); surgical fixation with percutaneous (through the skin) wiring with cast immobilistaion versus cast immobilisation alone after internal surgical fixation of the fracture. The quality of evidence for all the outcomes in these comparisons was very low, leaving us unable to draw any firm conclusions. There is a need for high quality evidence to help address outstanding uncertainties in the treatment of childhood wrist fractures. The results of the FORCE (Forearm Fracture Recovery in Children Evaluation) study are keenly awaited (Perry, 2018). This is a large multicentre trial looking to provide a definitive answer to the question of what is the best and most cost-effective treatment for buckle fractures in children. The trial will compare soft bandaging and immediate discharge home with rigid immobilisation. Another trial is looking at distal radius fractures that are angulated (ie the bone on either side of the break is not in alignment). The researchers are comparing two treatments : rough alignment (ie no formal manipulation) plus a rigid cast to manipulation, percutaneous wiring and rigid cast. For the moment, treatments will continue to vary. Let’s hope they will soon be evidence-based. Fortunately, children’s bones have the ability to heal rapidly and remodel efficiently, which thankfully means that the vast majority of children with distal radius fractures will recover completely. Join in the conversation on Twitter with @CochraneUK @CochraneBJMT or leave a comment on the blog.